The Redeem Step: Simply copy and paste this code in the "redeem code" section of the website and celebrate Kwismas. Note: To redeem the gift, be sure to use the code between 15:00 (Paris Time) on December 24 and 20:00 (Paris Time) on December 25. You can mark this event in your calendars to avoid missing out on the gift. 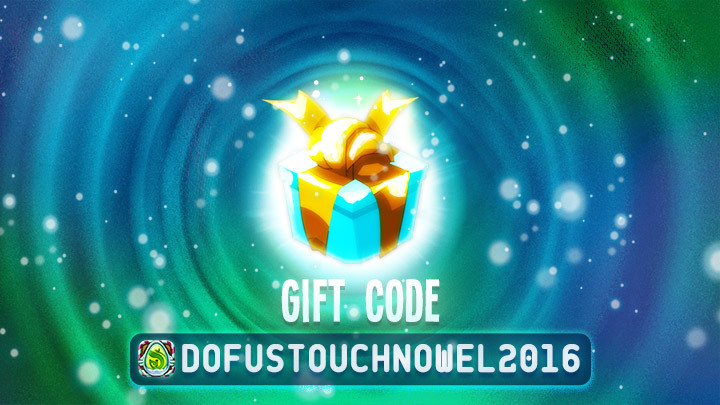 By the way, to celebrate Christmas, DofusTouch-Kamas launches a big holiday promotion which ends on December 25. You can use our special coupon code "DOFUSKAMAS" to enjoy a 5% off on all Dofus Touch Kamas.